The H.O.M.E. Foundation, is an acronym for “Helping Others Means Everything Foundation,” is an organization to conducting this raffle during the period beginning November 30, 2012 and ending August 26, 2013, in order to raise funds for ongoing charitable purposes and bringing awareness to our family of charities. The Raffle is open to anyone over 18 years of age not prohibited from participating in charitable raffles by their local, state, provincial, federal or country laws. The primary beneficiaries of the raffle’s net proceeds are nonprofit organizations primarily protecting, healing, educating and empowering today’s youth all over the world. The H.O.M.E. Foundation encourages nonprofits to submit grant requests for future consideration as a part of the Foundation’s ongoing purpose to fund programs in line with our vision for today’s younger generation and their future. All net proceeds support ongoing programs and services of The H.O.M.E. Foundation and our nonprofit family of charities, small outreach community groups in need of funds around the world, and children in search of higher education. Please let it be known, that the purchaser by buying a ticket is entered into a raffle and agrees to be bound by the Rules and Regulations, which are set forth below. The H.O.M.E. Foundation’s interpretation and application of the rules and regulations shall be final. The Grand Prize Drawing for the 2012, H.O.M.E. Foundation Raffle is a fully furnished, single family luxury home in Glendale, California, plus up to $200,000 in cash to make the total Grand Prize value approximately $1,000,000 dollars depending on the appraised real estate value of the property at the time of the drawing. The Grand Prize Drawing will be held Sunday, August 26, 2013. Tickets will not be sold after Sunday August 26, 2013. Tickets may be sold-out before that time. An auditor will supervise the Grand Prize drawings as well as all other drawings. The winners do not need be present to win. Drawing dates may be speed up and drawn sooner because all tickets have been sold out; or changed in the sole discretion of The H.O.M.E. Foundation, with any and all changes posted on this current website. Only 50,000 tickets will be sold, and a maximum of 2,500 tickets will be strategically given away as prizes to market and promote the Grand Prize Drawing. The chances of winning any prize, including the Grand Prize, are based on those numbers and are at least 1 in 240 to win. If fewer tickets are sold, or promotionally given out, an entrant’s chances will improve. According to the United State’s Internal Revenue Service (IRS), England’s Her Majesty Revenue & Customs (HMRC), and various other tax, income tax, or value added tax collecting agencies, do not permit the participation of payments for chances in lotteries, raffles or similar drawings for valuable gifts and prizes based on chance as gifts, or at all, and consequently do not qualify as deductible charitable contributions. Please refer to the local laws governing your primary living or country of jurisdiction. Upon the Dream Home being awardable according to the rules, the Grand Prize winner can use the cash component of the grand prize to compensate and pay any and all assumed fees, including local and national taxes, including but not limited to income taxes based on the value of the home, transfer taxes and fees, which must be paid when the Home is transferred to the winner, and costs of hazard insurance, security and other expenses of ownership. Additional information is contained in the “Prizes” section below. These tax consequences may apply to other prizes as well. The 2012 H.O.M.E. Foundation takes no responsibility for any tax liabilities, hence consult your tax advisor. Registration does not imply endorsement. This offer is void where prohibited by law, and all federal, state and local laws and regulations shall apply. If local laws are inconsistent with these Rules or the conduct of this raffle, local laws shall govern. By entering this Raffle, entrants accept and agree: a) to be bound by all rules, limitations and restrictions set forth herein; and b) that their name and/or likenesses may be disclosed to and used by the news media including but not limited to television, print, and or electronic, it may be used by The H.O.M.E. Foundation for publicity purposes and in lists of prize winners to be published in area newspapers and announced on The H.O.M.E. Foundation’s website. The entrant agrees that they are also subject to the laws and regulations of the jurisdiction of their residence. Please contact The H.O.M.E. Foundation if you have questions. The H.O.M.E. Foundation’s interpretation and application of these Raffle Rules and regulations shall be final. By entering this event and events therein, each participant releases The H.O.M.E. Foundation, its directors, officers, employees and agents, from any and all liability for injuries, losses or damages of any kind caused by participating in the Raffle or winning any prize, or resulting from acceptance, possession, use or misuse of any prize, and each winner agrees to indemnify and hold The H.O.M.E. Foundation harmless from any and all losses, damages, rights, claims or actions of any kind arising in connection with or as a result of participating in this event, or the winner’s acceptance or use of any prize. Tickets cost $100 each. An individual can purchase as many tickets as he or she may wish, subject to availability. A ticket can be purchased in the name of one, or two individuals. The first person listed on the entry form will be emailed a copy of the ticket with a detachable ticket stub. If no email address is available, these items will be sent by mail. Any prize and related tax liability belongs 100% to one person named on a ticket, 50% to each if two persons are named. Early ticket purchased will be included in all early drawings listed as well as the Grand Prize drawing(s). Theoretically at least, an early entrant can win a prize in each and every one of the Early Monthly Drawings leading up to and including the Grand Prize. The drawing dates for The H.O.M.E. Foundation will be posted on this website’s home page. Multi-Ticket (MTD) Drawing: This Drawing rewards entrants who purchase more than one ticket to the Raffle, and there are five prizes for those in this category. Refer-A-Friend (RAF) Drawing: This Drawing rewards entrants who refer a friend to the Raffle and subsequently the referred friend purchases one or more tickets to the Raffle before the Grand Prize drawing deadline. This Drawing awards five prizes to those in this category. This Drawing is to take place at the time of the Grand Prize Drawings. THE H.O.M.E. FOUNDATION reserves the right to reject any entry form including data submitted with payment that does not constitute “good funds.” All defective or physically altered entry forms will be immediately disqualified by THE H.O.M.E. FOUNDATION. Prior to the Grand Prize drawings, THE H.O.M.E. FOUNDATION will make a reasonable effort to notify the individual or other name that submits such an entry form, or one which has been rejected because the credit card or check did not clear, that such person’s entry will be deemed rejected, after attempting to make contact using the information submitted to THE H.O.M.E. FOUNDATION on the purchase request. All orders for tickets for Early Bird and or monthly drawings must be received and/or purchased before the indicated deadline indicated on the countdown timer located on the home page of this site, . Any orders received after these deadlines will be held for the subsequent drawings, if applicable, as well as the Grand Prize drawings. THE H.O.M.E. FOUNDATION assumes no responsibility for communications not received or for lost, late, misdirected or non-delivered mail, e-mail or fax messages, or for any other failure to receive orders or deliver receipts prior to the drawing deadlines. All Drawing dates may be extended in the exclusive discretion of THE H.O.M.E. FOUNDATION with the appropriate announcement made on this website. A Raffle Participant’s sole and exclusive remedy for THE H.O.M.E. FOUNDATION’s breach of these rules shall be limited to the return of the purchase price paid for his or her raffle ticket(s). In no event shall either THE H.O.M.E. FOUNDATION, its directors, officers, employees, agents or representatives or third-parties working with or in support of THE H.O.M.E. FOUNDATION, or members of their family of charities, be liable to any party for any loss or injuries to earnings, profits or good will, or for any incidental, special, punitive or consequential damages of any person or entity, whether arising in contract, tort or otherwise, regardless of whether the raffle participant may be advised by others of the possibility of such damages. By going online to our website www.HOMEFoundationRaffle.com and clicking “Get Tickets “on the navigation bar or “Fax Entry Form”. You will be lead to form which you can fill out, print and fax, or fax directly to us via the website. Our fax#: 1-877-290-7338. One of our representatives will call you to verify all the information is correct and complete the order of your ticket(s). Tickets may be purchased by credit card (Visa, or MasterCard). Credit card purchases must include the name on the card, expiration date, and security code. Tickets cannot be purchased by voicemail or over the Internet. Do not mail cash. Duplicate Ticket(s) with individual ticket numbers will be held for the benefit of all entrants at THE H.O.M.E. FOUNDATION’s offices. Entrants will receive a confirmation at the time of their ticket purchase and deposit of funds advising them of their ticket numbers. Winners need not be present at drawings nor do entrants need their individual tickets or ticket numbers in their possession at the time of the drawing. THE H.O.M.E. FOUNDATION reserves the right to reject any entry submitted in violation of these Rules. THE H.O.M.E. FOUNDATION’s interpretation of these Rules shall be final. No refunds will be made except under the following circumstances: any ticket order with payment received after 50,000 tickets have been sold, or after August 26, 2013, as that date may be extended, whichever comes first, will be returned. No other refunds are available except at the exclusive discretion of THE H.O.M.E. FOUNDATION. THE H.O.M.E. FOUNDATION assumes no responsibility for lost, misdirected, late or non-delivered tickets, or other failure to timely purchase tickets, or for failure to notify anyone who attempts to purchase a ticket with a defective or illegible entry form or without good funds. All sales are final. No payments will be refunded, including payments received from ineligible parties, except as noted above. Each person who purchases a ticket and/or whose name appears on a ticket: (a) releases THE H.O.M.E. FOUNDATION and agrees to indemnify, defend, protect, and hold harmless THE H.O.M.E. FOUNDATION and its officers, directors, shareholders, employees, agents, advertising agency, contractors, insurers, attorneys, accountants and affiliated entities, and the home seller, from and against all losses, damages, rights, claims and actions of any kind arising in connection with, or as a result of, this Raffle and/or that person's failure to win or redeem any prize or that person's award of, acceptance of, or use of any prize; and (b) represents and warrants that he/she has read and understands these Rules and agrees to be bound by these Rules and THE H.O.M.E. FOUNDATION's decisions which are conclusive and final concerning these Rules. THE H.O.M.E. 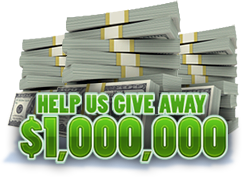 FOUNDATION will make reasonable efforts to contact each winner. If a winner cannot be located within 30 days after a drawing or if any person is ineligible under these Rules or applicable law, then they will not be awarded the prize, no other ticket will be substituted for that ticket and the prize will be retained by THE H.O.M.E. FOUNDATION. 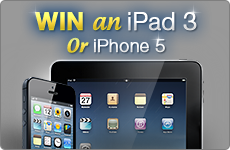 Any prize not claimed within 60 days after that prize's drawing date will not be awarded. A person named on a ticket cannot transfer their interest in the ticket. Each winner is solely responsible for paying and reporting in a timely manner all taxes and expenses attributable to the prize. Each winner agrees that his/her name, likeness, image, voice, and city of residence may be recorded by audio, video, or digital means and may be used in any print, audio or visual media, without notice or compensation, for any purpose, including related to this or any other THE H.O.M.E. FOUNDATION event online or off line. In order to collect his or her prize, each ticket winner must, prior thereto, sign and deliver to THE H.O.M.E. FOUNDATION: (a) if required by THE H.O.M.E. FOUNDATION, a sworn affidavit of eligibility (provided by THE H.O.M.E. FOUNDATION) in accordance with these Rules and applicable law, including, without limitation, verification in a form acceptable to THE H.O.M.E. FOUNDATION that they at least 18 years old; (b) such written information as is required by any applicable tax and/or real estate laws, including without limitation of their Social Security Number or other form of identification acceptable to THE H.O.M.E. FOUNDATION; (c) proof of identity in forms satisfactory to THE H.O.M.E. FOUNDATION showing that the 18-year old or older person claiming the prize is the same person who is named on the winning raffle ticket; (d) the copy, if delivered to the winner, of the winning ticket and/or detachable ticket stub; and (e) a publicity release. In the USA, winners of prizes of $600 or more may be required to submit a Form W-2G, Form 5754 or similar tax form (provided by THE H.O.M.E. FOUNDATION) for tax withholding purposes. When the Grand Prize is awardable pursuant to these Rules, THE H.O.M.E. FOUNDATION will promptly furnish the Grand Prize Winner all documents necessary to complete the transaction for the home selected by the Winner as their grand prize, including an agreement of purchase and sale and related escrow instructions. THE H.O.M.E. FOUNDATION in its discretion will designate the manner of transmitting documents, whether by e-mail, express mail, courier, etc. These documents must be completed, signed by everyone named on the Grand Prize-winning ticket and returned to THE H.O.M.E. FOUNDATION and escrow opened within 15 calendar days after the drawing date, announcement of the Grand Prize Winner and transmittal of documents as described above. If THE H.O.M.E. FOUNDATION does not timely receive the completed documents, then in such case the winner shall be and is automatically and irrevocably deemed to have elected not to receive the Grand Prize. The Grand Prize Winner shall accept the home through an escrow, with furnishings, in as-is, where-is condition, and THE H.O.M.E. FOUNDATION and the home seller shall have no liability relating to the home or its location. THE H.O.M.E. FOUNDATION and the home builder make no guarantee, agreement, representation or warranty, express or implied, in connection with the home, unless and except as required by law, including any representation as to its value or that it can be sold for any certain price or within a certain period of time. 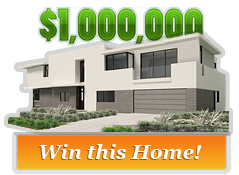 The Grand Prize winner shall have the opportunity to inspect and evaluate potential Grand Prize home, personally or through the Winner’s designated representative. The Grand Prize winner is solely responsible for paying all charges for escrow and title insurance, homeowners association dues and assessments, transfer taxes, required withholding amounts, and any other charges imposed in the sale contract and escrow instructions, though could be paid via the cash portion of the prize. The winner shall also reasonably cooperate in the escrow process, promptly sign and deliver documents customary for acquiring title to residential real estate, and cause escrow to close within 20 days after escrow is opened. The Grand Prize winner acknowledges that government authorities may place a different value on the home than the value placed thereon by THE H.O.M.E. FOUNDATION or the builder, in determining any income, property, transfer, or other taxes or fees that may be attributable to the home. If there is a tenant in the home then the Grand Prize Winner shall either permit a reasonable time for the tenant's lease to be terminated and the tenant to vacate the home or shall accept the home subject to that lease. These rules are copyrighted or copyright registration is pending and these Rules may not be copied, reproduced, or used in whole or part in any manner without the express prior written consent of THE H.O.M.E. FOUNDATION.